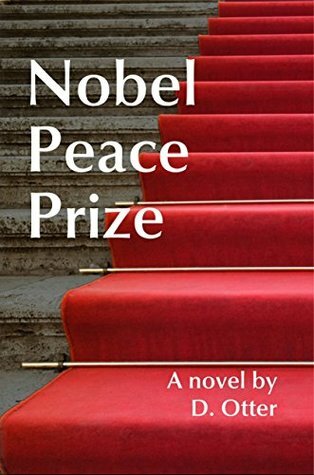 In a book about a random person potentially winning the Nobel Peace Prize, there’s remarkably little about the effects of this life-changing award on his life. The author even goes so far as to include this statement in the synopsis, “If ultimately the book fails to satisfy, failure to satisfy may be its motif, in which case it does satisfy in an unsatisfactory sort of way.” And what an unsatisfactory book it is. I’ll forgive the random missing spaces, which are probably an artifact of the e-book conversion process, but I will not excuse the run-on sentences inside run-on paragraphs comprising run-on chapters. I don’t know why the author chose to write this book in a fiction context (subtitling it “a political fantasy”). Considering the majority of the book is comprised of long-winded, unfocused rambling rants, if the author wanted to provide a true political fantasy to the reader, the plot would have been central to these different ideas set in a world where they were the law of the land instead of just a cynical “good idea.” This book would almost work better as a non-fiction diatribe on how to “fix” the current political/digital/socioeconomic landscape instead of the format it’s in now. When it comes right down to it, the book is a series of monologs interspersed with emotionless “tellings” (a big no-no when it comes to the “show vs. tell” method of writing). I had no interest in any of these characters, despite their lengthy backstories. In fact, I would almost argue that the character arcs were only backstories. With the walls of text, un-relatable characters, and complete lack of any plot, I’m not sure how anyone would be able to get through reading this book. I did, but I forced my way through it. The biggest turn-off was definitely the author’s style, which seemed pompous and “holier-than-thou” with a plethora of platitudes and an extensive vocabulary full of jargon. A series of lectures that fail to ever engage the reader, I give Nobel Peace Prize 1.0 stars out of 5.